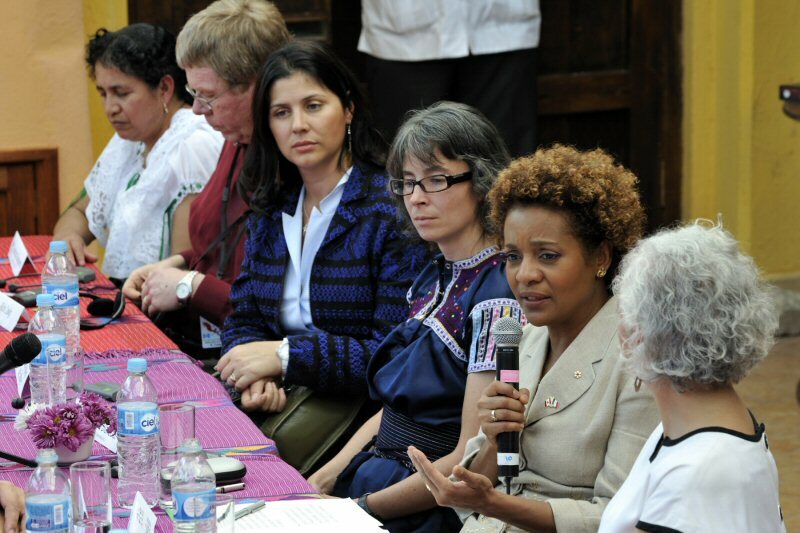 OTTAWA, ONTARIO--(Marketwire - Dec. 9, 2009) - On the final day of her State visit to the United Mexican States, Her Excellency the Right Honourable Michaelle Jean, Governor General of Canada, went to San Cristobal de Las Casas, where she met with citizens and representatives from five non-governmental organizations (NGOs) dedicated to supporting women, youth and Indigenous groups in the region, among others. The projects from these organizations are funded by the Canada Fund for Local Initiatives. The discussion focused on the current situation of Indigenous women and youth in Chiapas, and the challenges they face. Later on today, Their Excellencies will leave Mexico to undertake a State visit to the Republic of Guatemala. During the visit, the Governor General will meet with government officials to discuss the important issues of security and impunity with the government. She will also meet with representatives from non-governmental organizations-most of whom are women-and with Aboriginal leaders and members of civil society. Her Excellency will also visit the sites of various projects led by the Canadian International Development Agency (CIDA) to reduce poverty and increase job creation. The Governor General during her meeting with the local community of San Cristobal de Las Casas and with NGOs. Photo credit: Sgt Serge Gouin, Rideau Hall, (C) 2009 Office of the Secretary to the Governor General of Canada.